With the recent takeover of Skye Bank Plc by Polaris Bank, following the inability of the owners of the bank to shore up the capital of the distressed bank, shareholders are now at the risk of losing an estimated N10.69 billion, being the value of the shareholders’ fund. The shareholders, who spoke in an interview with The Guardian, amid lamentations, noted that while retail investors were still grappling with N83 billion loss of investment occasioned by the sale of the three nationalised banks- Keystone Bank Limited; Mainstreet Bank; and Enterprise Bank, they are currently faced with another dilemma arising from the sale of the Skye Bank. According to them, one of the reasons why retail investors had shown apathy to the Nigerian stock market since the meltdown in 2009, was because of the issue of nationalised banks. They bemoaned the failure of the Securities and Exchange Commission (SEC) to protect the interest of investors, noting that this is a disincentive to market growth. The shareholders also blamed the former directors of the banks on the current predicaments, insisting that they fail to carry them along even when it became obvious that the bank needed to be recapitalised. 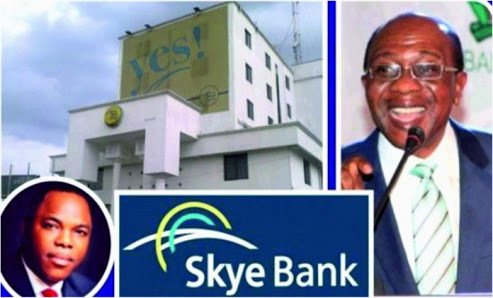 For instance, the Former Secretary General of the Independent Shareholders Association of Nigeria, Adebayo Adeleke, lamented that since Skye Bank is no more in existence, it means the N10.69 billion shareholders’ fund has also gone. He pointed out that capital market regulators may find it difficult to attract more investment with the loss of such huge amount of money. “The regulators have specific responsibilities giving to them by the act that establishes them, CBN protects the interest of the depositors, NDIC insures the securities of the deposit, AMCON is the midwife, to get the get the banking industry out of this toxic asset. “We have SEC, whose statutory duty is to protect the interest of the investors. While all these regulators have played their part, you will find out that it is only SEC that did not do anything at all. “Unfortunately, Skye Bank had its own problem, but the management put in place by CBN in the past two years, with no annual report, no yearly general meeting, should explain at what point they really asked shareholders to recapitalise the bank and the shareholders said no,” he queried. The President, Proactive Shareholders Association, Taiwo Oderinde, said: “The issue of Skye Bank’s takeover is not acceptable by our group at all. The Founder of Noble Shareholders Association, Gbadebo Olatokunbo, said: “These are the things that are discouraging local investors. CBN should hold the directors of the bank responsible and should not allow shareholders to suffer the way they did when the three banks were nationalised.